The Gion branch of Saryo Tsujiri released its new dessert “Hana no Utage” (Flower Banquet) on April 1. 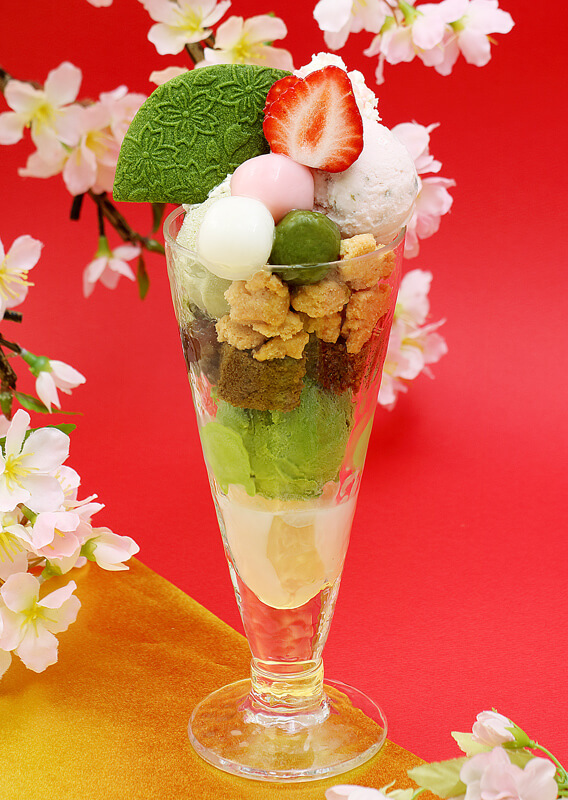 This parfait breathes springtime with its blooming cherry blossom ice cream, fluffy cherry blossom cream, cherry blossom cookie, matcha cookie and more. 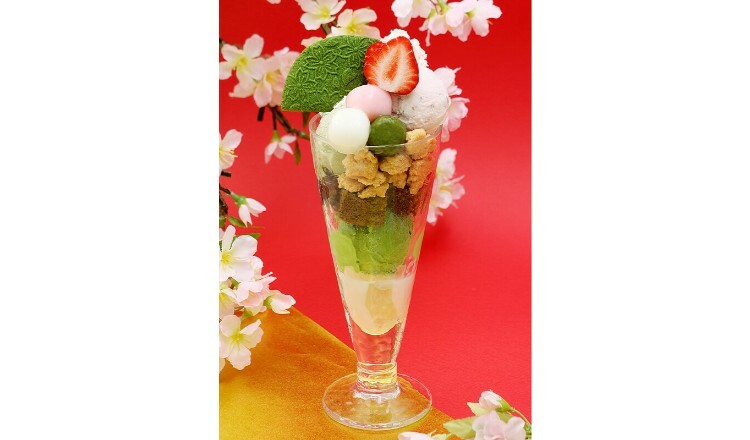 If you’re in Kyoto this spring then treat yourself to this refreshing parfait.